Back again for another creepy installment of #FridayFright. Today we are talking 'Creature Feature'. Big debates throw down in the horror world as to what a creature feature really is.Many argue that the classic monster movies like Frankenstein and Dracula are creature features but to me it is all about the crazy unusual beings that team together to bring down mankind. They may be big, they may be small but one thing is for sure they are not part of this world. You can't get much more of an unknown creature than if they come from straight out of space. Crashing down in spaceships and causing chaos all over some small town. What better to cause trouble than small fuzzy balls of teeth? 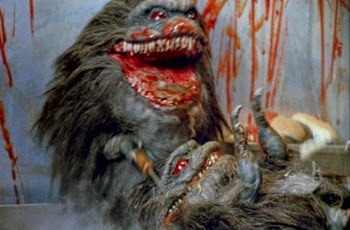 Hell yeah it is all about the creepy balls of mayhem...Critters. 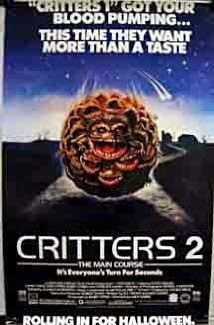 More specifically Critters 2. The first film seems to drag out a bit and never really keep my attention other than the strange coupling of a hillbilly dungaree wearing, jam jar swigging dad to a 50s style housewife. In fact until I re-watched it I couldn't even remember the first film. It has been highly criticised for trying to resemble the major hit 'Gremlins' but even if it was the films have their own charm. The krits didn't make enough of an appearance for my liking it seemed to be more about the intergalactic bounty hunters. 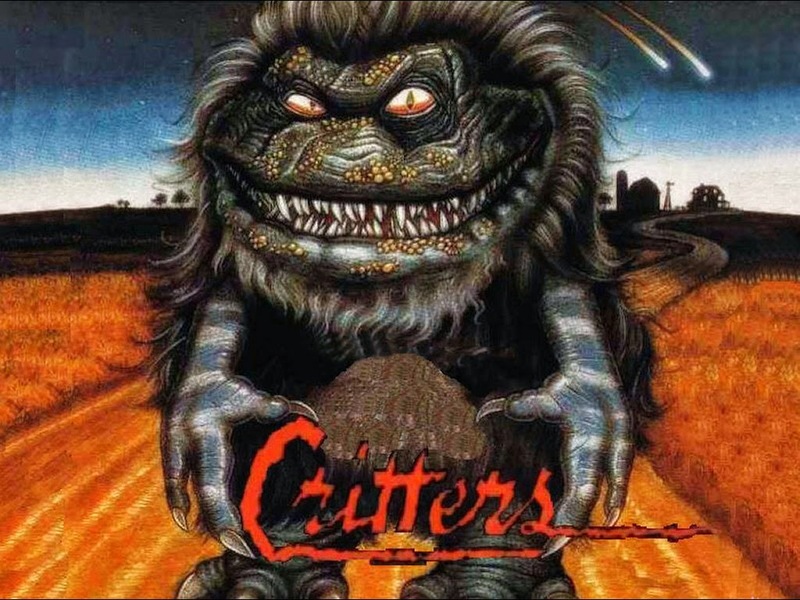 Elements of Critters 2 however always stuck with me. When I was younger these malevolent balls of evil were far from cute. The storyline in Critters 2 is a lot more rounded and sinister. 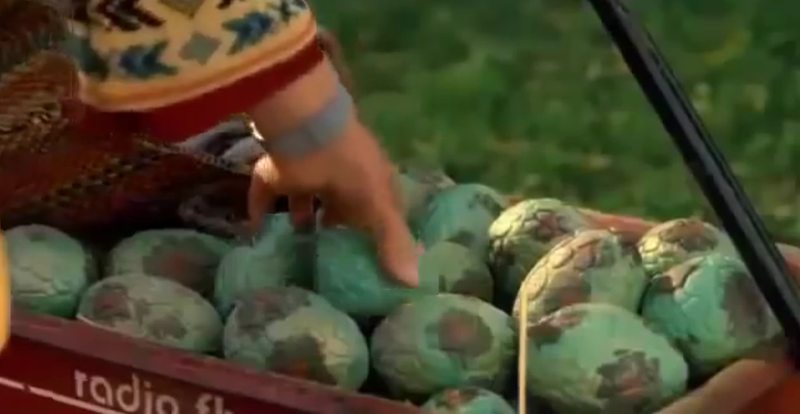 Easter season left some local wheeler and dealers find a batch of eggs only to then palm them off on to locals as french Easter eggs. Planting the seed of suspense all over town. Being crazy young when I watched this there is nothing scarier than thinking someone is messing with your Easter chocolate. To this day I will not sleep with my feet hanging out of bed after one of the eggs hatches under a little girl's bed leaving her hanging foot open to be a fresh snack for this newly hatched Krit. If it wasn't bad enough the 'chocolate' wasn't chocolate now it was going to be the one chomping on it's owner. Just as well for a clumsy dad who unknown to him saves the day for this little girl by stepping on the ready to pounce cannibal. "Oh, I'm sorry honey your Easter candy is a real mess" Phew more than you know Daddy! Stop rolling your eyes at me. Don't judge me! These little porcupine like suckers may look cute and harmless enough but don't be fooled. One on one you may be able to take this spiky bundle of cannibal down but they are sneaky little buggers and can team together to cause cannibal anarchy around town. They can ball themselves up into a huge mass leaving their victims helpless to their fast teeth clad rolling ball attack. The storyline flows a lot better this time round and the deaths are more creative with a dark comedy twist. 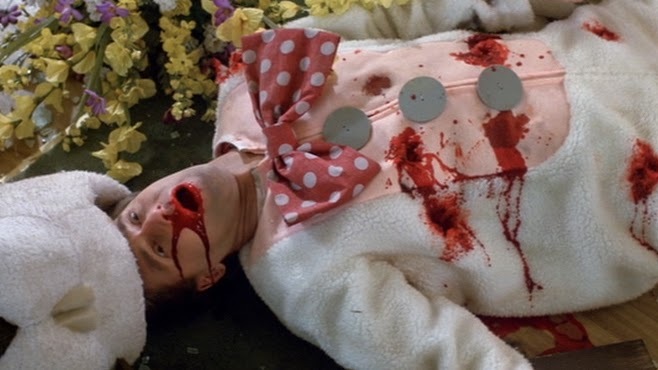 You can't do Easter without death to Easter bunnies. Both chocolate and the fluffy kind. All doubts about this being a copy of Gremlins are put to bed with this film. Like every good horror film Critters 2 is full of one liners that will make you smile as blood splattered town folk hit the deck. "Who you gonna call the Crite busters?". You know it Bradley Critters are back and this time they mean business. Just as well we have some scantily clad bounty hunters around to take these meat eating hedgehogs down. Some of the sci fi special FX are way before their time tackling space aliens and morphing. A big zombie thumbs up from me. Get on it watch these towns people fight these dentally challenged creatures off with plenty of cheese and blood to last light heated horror fans. "You got nothing to lose....but your lives"
Check out my fellow fiends #FridayFright posts on the links below. Show us some love and tell us about the creature feature that gets you! Don't forget to follow me on Facebook to get more updates.